Posts about ArizMATYC and AMATYC meetings. 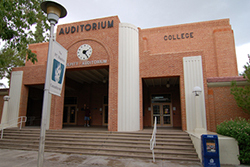 The Fall ArizMATYC will be held at NAU on Friday, October 11. 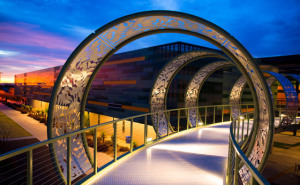 Join mathematics faculty from throughout the Southwest for the Spring 2019 ArizMATYC Conference. 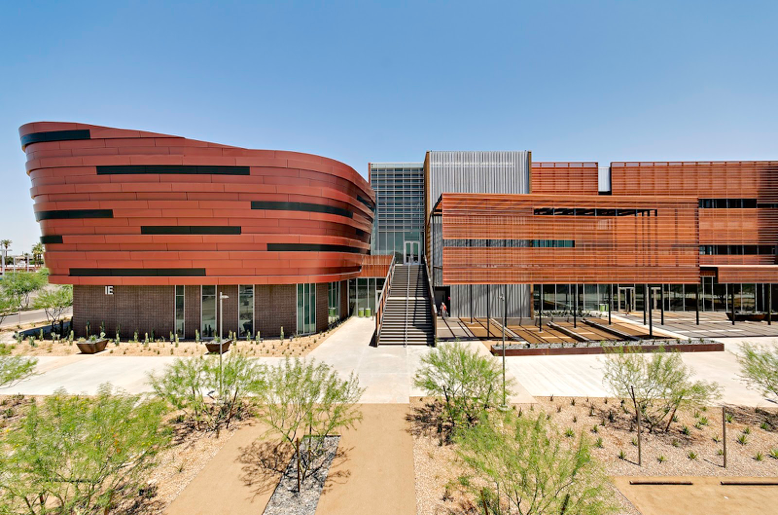 The conference will be held at the Main Campus of Phoenix College in Phoenix, Arizona on Friday, February 8. To kick off this amazing conference, Calculus, the Musical will playing on Thursday, February 7th at 7:00 pm for a special engagement at the Bulpitt Auditorium. The event is free to the public. The conference will include a keynote by Dr. Uri Treisman, breakout sessions, a poster session, and vendor tables in addition to a delicious breakfast and lunch. The spring conference of ArizMATYC will be a student-centered day of learning focused on increasing equity and access for students through mathematics. We invite participants to develop a talk or a poster session that they, their students, or both can present. Presentation formats will include standard, burst, and poster sessions. Presentations for the Spring ArizMATYC Conference can focus on topics such as instruction, history of mathematics, applied math, technology, strategies for success, opportunities for growth, and/or student success. Additional ideas might include: research in the classroom, students and collaborative learning, or group projects that work. Presenters and attendees are encouraged to explore the question around this conference’s theme: How do we promote equity and access for students through mathematics? Thank you for attending the ArizMATYC Conference. Here is a link to Spring 2019 Sessions – Presentations and Resources Repository. Are our math classes student-ready? This spring’s joint meeting will be held at Pima CC – Desert Vista in Tucson, AZ on April 6 & 7. This meeting combines the members of ArizMATYC and the Southwestern Section of the MAA for a two day event that includes a Friday night dinner and guest speaker. Conference organizers welcome your proposal to speak and/or your offer to preside at a session. We look forward to seeing you at the conference! Conference Registration→→Online registration is now closed. You can still register in person either at Desert Diamond Casino’s Keno Bar on Thursday, Apr 5th between 6 – 7 pm or on the morning of the conference starting at 8 am at Pima-Desert Vista main entrance. A Pre-conference Workshop on Inquiry-Based Learning will be held prior to the ArizMATYC/MAA Spring 2018 Conference at Pima CC. The Pre-Conference Workshop will be 10 am – 4 pm on Thursday, April 5 at Desert Vista Campus. Cost: FREE but space limited to 35 attendees, so sign up soon! Mathematics faculty from around the state gathered at Chandler-Gilbert Community College on Friday, October 6 to consider “Teaching Mathematics in 2017 and Beyond”. The conference featured three keynote speakers, Dr. Ted Coe, Dr. Francis Su, and Dr. Pat Thompson who were tasked to challenge participants to consider the role that mathematics faculty play in developing mathematical literate students. The following are the presentations given at the Fall 2017 meeting of ArizMATYC at Chandler-Gilbert CC. What do our students need to succeed in a 2017 world and beyond? What role could/should technology play in learning mathematics? How do we maintain a rigorous balance between conceptual understanding, procedural fluency, application/problem solving? What strategies are most effective for student success in the mathematics classroom? What mathematics should be taught and how should we teach it to meet the needs of our students and the academic/work culture they will face? Plan to join your colleagues for active discussion about the teaching and learning of mathematics! Details about presenting, registration and accommodations will be posted soon. The spring meeting of ArizMATYC will be at Mohave Community College in Lake Havasu City on Friday, March 31. We are accepting conference proposals and conference registrations. To access the spring 2017 conference webpage, click on Next Meeting in the menu. Block out your calendars, the Fall ArizMATYC Conference is set for Friday, October 9 at Mesa Community College. Full details may be found on the Next Meeting page above. All for $15 (includes a membership to ArizMATYC!). To preregister for the conference, use the link on the Next Meeting page.